Corals are marine organisms that consist of numerous polyps and use these polyps for feeding. Most corals feed on algae produced by sunlight and often called photosynthetic algae or zooxanthellae. When kept in reef aquariums, the light required to produce enough algae to sustain the coral’s life is often insufficient. Proper lighting such as that provided by all Orphek LED systems will provide the required light as well as the necessary spectrum of light. Feeding corals is often necessary if one wants healthy looking corals with well extended polyps. Even if particular specie of coral does not require food, it is often beneficial to feed them sparingly. It is important to research the corals you intend to buy or presently have so you are aware of what foods, if any, that they may require. There are many species of stony corals that need very little supplemental feeding as most of their food source is provided by the zooxanthellae that reside in their body cavities. Stony coral, or reef building corals are called hermatypic corals and require intense lighting. Without sufficient light of the proper spectrum, the zooxanthellae algae cannot supply enough food for the coral to grow properly. Corals that require more supplemental foods, less light and do not have reef building aragonite skeletons are referred to as ahermatypic corals. 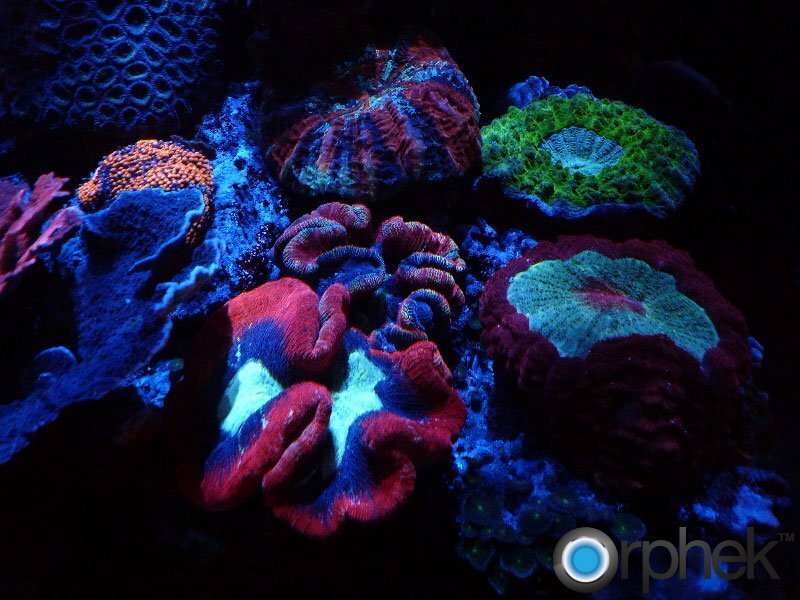 Therefore it is important to provide the correct intensity and spectrum for all the corals you maintain. Some corals such as the Orange Tube Coral (Tubastrea aurea) is an ahermatypic coral and can be difficult to maintain as they require low light, and each polyp must be individually fed, and fed at least once daily. If you cannot provide this feeding regime, this coral should not be considered for your aquarium. Good coral foods are liquid Cyclopeeze, DT’s Phytoplankton, and Reef Pearls are some examples although there are many types available. Corals require calcium, magnesium, and strontium to build skeletons. These elements are considered the major elements. FE, or iron is a useful minor element that increases growth of corals as their zooxanthellae algae feed on this iron thereby producing more food for the coral. The iron must be in a form that is easily absorbed by the coral if it is to be effective. Last, but not least are trace elements. Trace elements are natural minerals that are present in low concentrations in seawater. Many have essential functions in the biological process of corals. Some trace elements are functions that are used to aid photosynthesis while others support the building process of calcareous skeletons. The enzymes needed to do these processes cannot function properly without trace elements. There are no substitutions for trace elements; they must be dosed as a balanced mixture. Several companies produce these needed trace elements and some examples would be Tropic Marin’s Pro Coral K supplement, Prodibio’s Bioptim, and Seachem’s Trace. 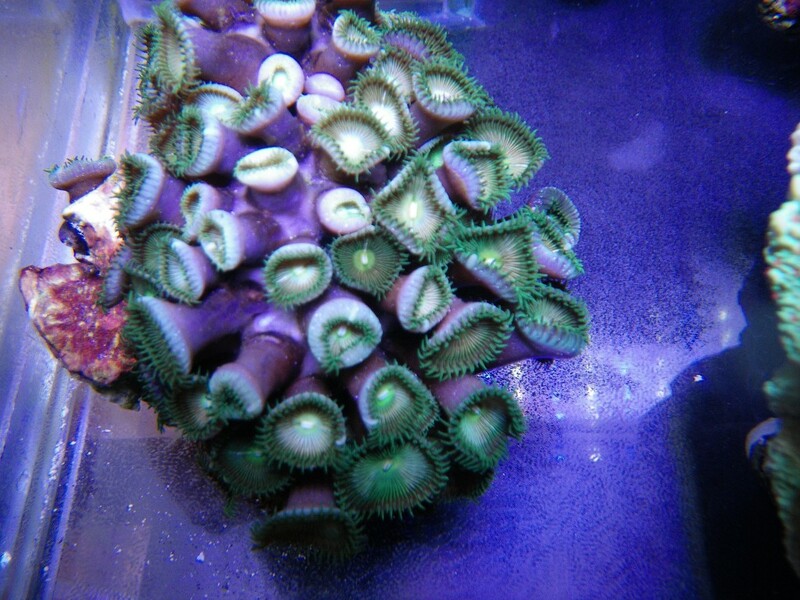 Insure you have proper lighting for the corals you are keeping. Orphek LED light technology easily provides this requirement and you can look no further. Research your coral to determine what type, and how much food they require. 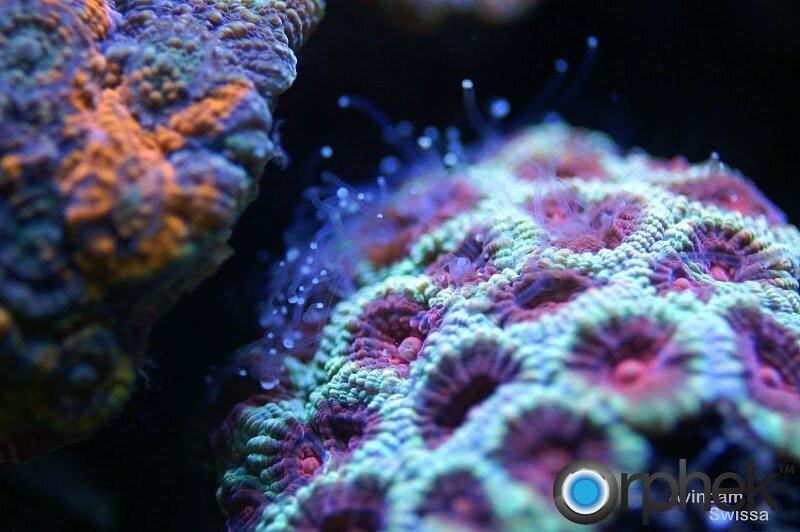 Feed corals only when the polyps are open and extended, preferably in the evening. Use target feeders where or when necessary. Do not overfeed, tank pollution will result. Ensure a high quality protein skimmer is used to reduce pollution from uneaten or absorbed foods. Dose trace elements according to the label instructions.